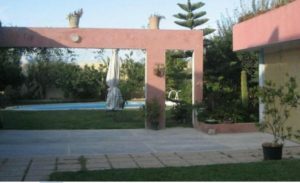 Vacations in Tunisia a selection of Apartments. 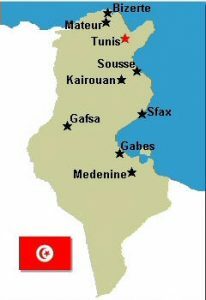 Located on the northern coast of Africa, Tunisia has boundaries with Algeria to the west, Libya to the southeast and the Mediterranean Sea to the north and east. Once you are in Tunisia make sure you sample the local Cuisine. The choice is endless be prepared to be pleasantly surprised. Tunisia (Arabic: تونس‎ Tūnis), officially the Tunisian Republic (الجمهورية التونسية‎ al-Jumhūriyya at-Tūnisiyya), is a country in upper Africa. North Africa. It is bordered by Algeria to the west, Libya to the southeast, and Mediterranean Sea to the north and east. Its size is almost 165,000 km² with an estimated population of just over 10.3 million. Its name is derived from the capital Tunis located in the north-east. Tunisia is the northernmost country on the African continent, and the smallest of the nations situated along the Atlas mountain range. The south of the country is composed of the Sahara desert, with much of the remainder consisting of particularly fertile soil and 1,300 km of coastline. Both played a prominent role in ancient times, first with the famous Phoenician city of Carthage, then as the Africa Province which was known as the “bread basket” of the Roman Empire. Later, Tunisia was occupied by Vandals during the 5th century AD, Byzantines in the 6th century, and Arabs in the 7th century. 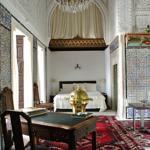 Under the Ottoman Empire, Tunisia was known as “Regency of Tunis”. It passed under French protectorate in 1881. After obtaining its independence in 1956, the country took the official name of the “Kingdom of Tunisia” at the end of the reign of Lamine Bey and the Husainid Dynasty. 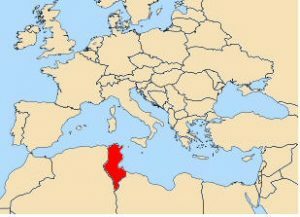 Tunisia has close relations with both the European Union — with whom it has an association agreement — and the Arab world. Tunisia is also a member of the Arab League and the African union. 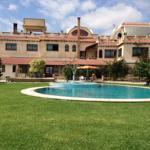 Take A Break Holidays takeabreakholiday,Tunisia Accommodation.